In the aftermath of Iraq’s crushing defeat during Operation Desert Storm in February 1991, protesters and rebels in the northern and southern parts of Iraq took advantage of what they saw as weakness in Saddam Hussein’s regime and attempted to overthrow his government. Anticipating American military support, their rebellion failed in the face of Iraqi army helicopters and tanks as the United States was too slow to react and provide assistance to the rebels. As Saddam Hussein’s forces retaliated against the rebels, hundreds of thousands of people in the north and south fled. 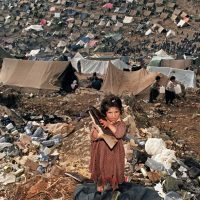 In the south, the Shia refugees found haven across the border in Saudi Arabia and were able to take shelter in refugee camps. However, in the north, Kurdish refugees were not as fortunate, as the Turkish government refused to allow them to enter Turkey in fear of adding to the already restless Turkish Kurdish population. With the Iraqi army behind them and a closed Turkish border in front, Kurdish refugees became trapped on a series of mountains near the Turkish border as they tried to take refuge from Iraqi helicopters and bombing runs. Fearing an impending humanitarian disaster or repeat of Saddam Hussein’s 1988 gassing Iraqi Kurds, the United States and NATO allies on April 6, 1991 undertook Operation Provide Comfort, a two-part operation designed to provide humanitarian supplies to the stranded Kurdish refugees and create and enforce a no-fly zone north of the 36th parallel that would prevent further attacks on the refugees. In the end, the program succeeded in supplying huge amounts of aid to the Kurdish refugees, while the no-fly zone allowed nearly all of them to return to their homes which were no longer under threat from Iraqi air power. The safe haven also allowed for the creation of a de facto autonomous Kurdish area, which in turn led to the blossoming of Kurdish self-government in northern Iraq and an opposition movement that included groups from across Iraq who would end up forming the backbone of the U.S.-backed government after the 2003 invasion and overthrow of Saddam Hussein. While serving as Director of the Southern European Affairs Bureau from 1990-1993, David Ransom dealt with the Turkish government in trying to alleviate the humanitarian crisis occurring on its borders. David Mack, the Deputy Assistant Secretary of Near Eastern Affairs Bureau from 1990-1993, discusses efforts in the UN to address the humanitarian crisis as well as his interactions with Iraqi opposition leaders, including the creation of the Iraqi National Congress and Ahmad Chalabi. Read about the Shia Uprising and other Moments on Iraq. RANSOM: This was an area where I miscalled the situation very badly. I wasn’t alone, but I think that at the end of the war, I felt that Iraqi armed forces were more likely to turn against Saddam Hussein than do his bidding. But in fact, the revolt both in the Shia south and in the Kurdish north left little choice to the Sunni army leaders, whose troops were primarily in the middle of Iraq, except to back Saddam against the dissidents. That is because they felt, probably rightly, that if the dissidents succeeded, Sunnis would be at their mercy. Not only would they lose all the power and the wealth they had taken away from these two groups, but they would be hounded in a most terrible way. The Iraqi military also were smarting from their defeat by the Americans and others. Attacking the Kurds and Shia was the only way to regain some of their manhood. In any case, that is what happened. We suddenly found that the post-war period overwhelmed us very quickly and we faced very suddenly and abruptly a huge exodus from the north where the Kurds were being pushed out by Iraqi forces, sending them streaming towards the Turkish border. When the embassy finally got a good handle on what was happening in this remote part of the world, nobody at first believed it — the numbers were too huge. There were hundreds of thousands of refugees. A notable Turkish group said, “We are never going to let them into Turkey. We are going to stop them at the border. If they die on the other side, that is not our problem.” So, we were faced with a disaster — a public relations disaster, a humanitarian disaster, and a breakdown of the coalition. [Secretary of State James] Baker decided he had to go to Turkey. Again, I went along and we made all the arrangements for him to go to the border area. That meant we flew a plane into Ankara. Then we took a C-130 to Diyarbakir. Then we took helicopters that were brought from the Sixth Fleet carriers and flown in through Incirlik Air Base. We flew to a mountain outpost of the Turkish army. From there, we took Land Rovers up the mountainside to the Turkey-Iraq border. There were tens of thousands of Kurds, women and children and old men, sitting on the rocks with no place to go. They couldn’t go back and they couldn’t go forwards. They had no food. Winter was coming. They had no shelter. It was raining. It was a terrible sight. They all felt that we had to do something to help them. It was not exactly clear to me what the hell we could do. I must tell you that I was daunted by the scope of this. I saw for the first time the kind of influence that Margaret Tutwiler could have on the Secretary. So, even before we got back to the embassy where we were planning to send cables and talk to people to activate a civilian operation, the U.S. military was en route with bags of food and other assistance via aircraft. While the operation was clumsy at first and ill-coordinated and difficult and the Turks didn’t understand what the hell we were doing, it worked. 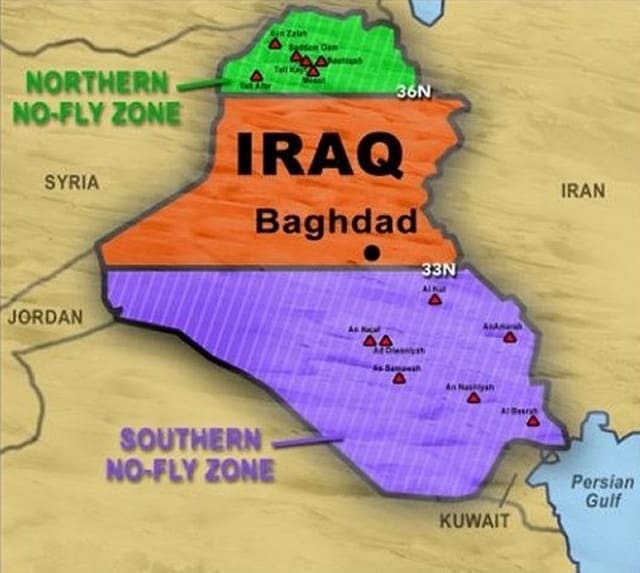 But as a consequence of supplying food inside Iraq, the military insisted on the establishment of a no-fly zone and a no-move zone in the northern part of Iraq because they weren’t going to put their helicopters at risk of being shot down. That is how we got the no-fly zone for the northern part of Iraq. It was not a calculated effort. It was simply a protective and defensive device by our side to allow them a safe military emergency operations; the zone remained even after the end of the emergency relief efforts. It survived in part because nobody could quite figure out how to end it without appearing to give a victory to Saddam Hussein. Besides, we didn’t see any reason to allow the Iraqis go back into northern Iraq with all the possible consequences. We now have this autonomous zone in the northern part of Iraq which has bedeviled our relationship with Turkey ever since. He [Secretary of State Baker] could have read a headline in a Washington newspaper, but there is no substitute for seeing something with your own eyes being confronted by it. He had invested his own prestige in the outcome of the Gulf War and he was not about to let the Kurdish problem besmirch an American success story. What he saw was clearly a daunting sight. As we walked across that mountain top, the Turks had already earlier in the day tied to organize the Kurds, but that was not an easy task. Basically, they had gotten them to sit on the side of a large slope. Baker was to address the refugees there briefly and they were to present him with a petition. He had to do something up there; that was the format. The Turks didn’t have any malice of forethought in all of this and were just trying to organize the visit…. We walked across a stony field. At one point, I stumbled over what turned out to be a cement pillar. That was to be the border marker between Turkey and Iraq. It said so in both Latin letters and Arabic on two sides of this small concrete pillar. I thought, “Well, I’d better tell the Secretary just so he knows.” I went running across this rocky slope. We were climbing across rocks wearing suits, to get to places. We were surrounded by bodyguards, who were probably much more frightened than we were. Baker said, “Bring them here.” He got himself photographed inside Iraq without a visa talking to Kurds and saying “We will help you.” That was the deciding moment, I think. MACK: I was told that General [Norman] Schwarzkopf and the Pentagon had made clear to the State Department that they wanted no advice from us on how to handle the cease-fire talks at Safwan. It was to be a purely military meeting to deal with military issues only. In fact, it was only long after the fact that we got a report of the meeting, and that came through an indirect channel. We were surprised by the permission for use of helicopters, but the decision to go along with Schwarzkopf was taken before I even learned of it. The military argued that Iraqi artillery and tanks could kill civilians with or without helicopters, probably with more indiscriminate bloodshed. It soon became clear that our military wanted out of Iraqi territory in a hurry. There was some controversy about that, especially after the uprisings of Shiite civilians in the south. For a brief period, it looked like that might lead Iraqi military units to mutiny, but when the Iranians began to send their agents in to exploit what had been a spontaneous popular rebellion, the army coalesced around the leadership in Baghdad, fearful that the country might fall apart. 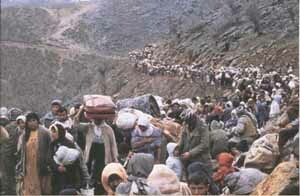 A new situation arose when the Kurdish rebellion ended in a mass flight of refugees to the borders of Turkey and Iran. It was, moreover, a development which affected international peace and stability, especially with regard to our Turkish ally. Nonetheless, our military was very reluctant to become involved. The British and French insisted they could establish safe havens with their ground forces if we provided air cover and logistics. The Turks agreed to allow use of bases in Turkey as staging points for strictly humanitarian operations. In the end, the British and French proved incapable of doing the job on the ground, although they continued to participate in the air, so President Bush reluctantly agreed to put U.S. forces on the ground for a humanitarian operation in April codenamed Operation Provide Comfort. I was very clear in my talks with the leaders of Kurdish and other Iraqi opposition groups that the U.S. involvement was only for humanitarian purposes and that we did not support a separate state for the Kurds. At first, some of the Kurdish representatives did not like to hear that, but they came to appreciate an operation that saved possibly hundreds of thousands of Kurdish lives. 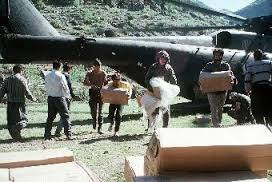 Provide Comfort was a major humanitarian program, and it probably saved the lives of hundreds of thousands of Kurds. Moreover, almost all of the Iraqi Kurds that had crossed the border into Turkey returned to Iraq. To enable that, however, we had to become more involved on the ground in Iraq than we had wished, certainly more that the U.S. military wanted, at least initially. That was necessary to give the Kurds near or across the border enough sense of security to start going back to their villages in Iraq. So we carved out a little security zone in the northern part of Iraq. At the beginning of the feeding operation of Provide Comfort we also established a no-fly zone, which comprised all Iraqi territory north of the 36th parallel. It didn’t include all of Iraqi Kurdistan, but it covered the northern most Kurdish areas. It also included a huge hunk of northwestern Iraq that was populated largely by Arabs, including Mosul, the third largest city in the country and the site of a major Iraqi military garrison. The U.S. Air Force was adamant that a no-fly zone had to be based on a specific parallel without exception to enable clear guidance and rules of engagement to our pilots. It also fit with my notion that we should avoid policies that were based on concern exclusively for Kurds, and the overhead coverage of Mosul was one result. Undersecretary Eagleburger asked my reaction in one of our State Department meetings, and I observed somewhat acidly that it was not as large as Beirut, but it was much farther from U.S. carrier air support. Larry Eagleburger, like me, recalled our difficulties in Lebanon in 1983, and he was inclined at first to oppose including Dohuk. The State Department became the primary coordinator of the political framework for our operations in northern Iraq. Under my direction, we were sending a series of ultimatums to the Iraqi government as to what we intended to do. Although we had withdrawn all the American diplomats from Baghdad and the Iraqis had broken diplomatic ties at the start of Desert Storm, we had allowed them to keep a small group of diplomats in Washington, headed by a mid-level Iraqi diplomat, to assure that we had a channel for communicating to the Iraqi government. We also used a second channel through the Iraq Mission to the U.N. in New York. We told the Iraqis to withdraw their forces from the security area we had established in northeastern Iraq. 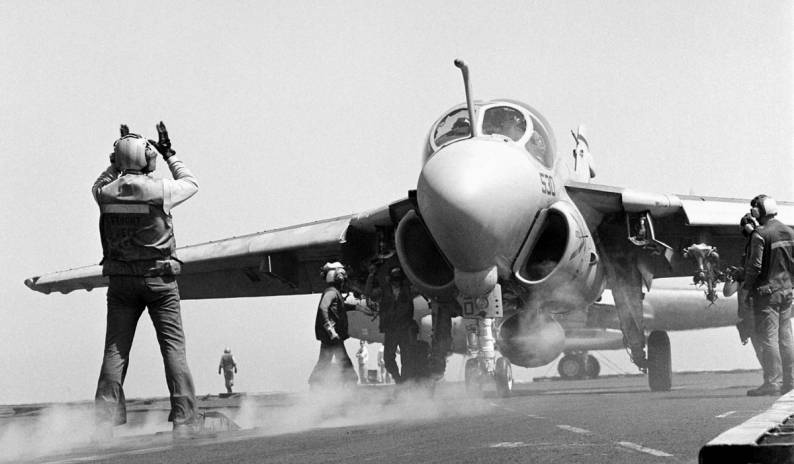 We also informed the Iraqi government that we were establishing the no-fly zone, and that we would shoot down any of their aircraft that entered the air space. And, of course, I was also dealing with the Kurdish groups, telling them what it was that we were trying to do for humanitarian purposes. We wanted to get their cooperation on the ground for feeding and housing the refugees, and we were also warning them not to start fights with the Iraqi military that they expected us to finish. We tried to make it clear that our involvement was not for the purpose of strengthening the political hand of the Kurdish organizations. We were also dealing with the Turks and with other allies. In the U.N. Security Council, we supported a resolution dealing with the Iraqi people and distinguishing them from the Iraqi government. 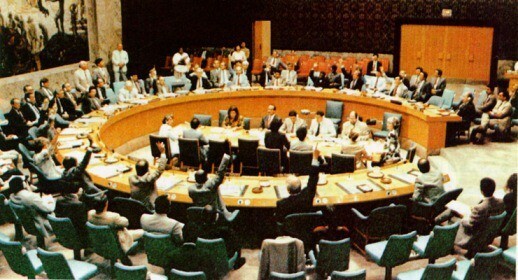 What became U.N. Security Council Resolution 688 was, as I recall, initiated essentially by the British and the French. Resolution 688, unlike the cease-fire resolution, was a non-mandatory resolution, but it had broad and expansive language which could be interpreted as giving the international community a mandate to assure that the Iraqi central government did not repress its people. As I recall, China abstained from voting for the resolution. While they did not veto it, they were unhappy about the precedent. While Resolution 688 was not mandatory under Chapter 7 of the U.N. Charter, it was an exercise of the authority in Chapter 6. That meant it had somewhat less force in international law. Nonetheless, we used it to the maximum extent possible in order to provide a legal justification for the humanitarian intervention on Iraqi territory and in Iraqi airspace. The State Department lawyers came up with a novel legal justification for what could have been deemed extensive violations of Iraqi sovereignty to aid and protect a part of its population. The lawyers reasoned that Iraqi government repression of its people was causing an ongoing international emergency, referring to the refugee problem on the Turkish border. This emergency was the cause of international instability covered by an earlier Security Council resolution authorizing all necessary means to restore stability. The words “all necessary means” was the U.N. way of authorizing the use of military force. It was a convoluted way of saying that we could pretty well do what we wanted inside Iraq, provided it was done to restore the international stability that had been disturbed by Iraqi actions back in August 1990. Resolution 688 established a basic framework for other resolutions justifying our no-fly zones over the north and eventually the south of the country, as well as other things we do that are not in the context of arms control under Resolution 687. At the time, as I say, there was some limited opposition at the UN, particularly from the Chinese. Most of the international community, however, gave surprising and even enthusiastic support to what had seemed a novel and far reaching authority of the U.N. when the British and the French proposed it. The Saddam Hussein government had been so egregious in both its invasion and occupation of a neighboring country, as well as its treatment of its own citizens, that major efforts to try to reestablish a better order within the country now seemed acceptable, provided it could be justified by a Security Council resolution. During the period we were launching Operation Provide Comfort and the northern no-fly zone I continued to deal with other Iraqi opposition groups on a frequent basis. It had become all the more important to do this, so that our military operations and high profile diplomacy were not misunderstood as supporting the idea of Kurdish nationalism and Kurdish separatism. Inevitably despite all the effort that we were making at my level, this identification was creeping in. Increasingly, the rhetoric used by senior officials spoke of protecting the Kurds, rather than the more varied population of northern Iraq. This was a problem not only with most Iraqis, but also to Arab governments. It was anathema to the Turks. Moreover, it was encouraging some Kurds to think they could in fact use this humanitarian program as a basis for establishing their autonomy. At the same time as we were engaged in humanitarian efforts, major Kurdish militia groups were reestablishing their control of some of the areas out of which they had been driven by the Iraqi forces. These included areas well to the south of the no-fly zone and outside the security zone where we had our ground forces and civilian aid workers. We thought the assertion of Kurdish control in areas where they were a majority of the population was not such a bad thing, as long as we didn’t have to take responsibility for it. At the same time the Administration worried that if the Kurds went too far, they might expect us to bail them out of trouble. For my part, I was very keen to show that the U.S. government had a concern for the whole of the Iraqi people, despite our continuing problems with the Iraqi government. As a consequence, I increased my attention to meeting people from various Iraqi opposition groups, and encouraging them to unite their efforts. My contacts included a wide range of very disparate groups. Some of them were the very cultured émigré Iraqis you might meet in a London drawing room. They were well educated professionals, but many had very attenuated contacts with Iraq. Often, they had been out of the country since the original revolution in 1958. Some of the younger Iraqi expatriates had been born in exile to families that had left Iraq as a result of the 1958 revolution. They did not seem to me to be the kind of people who could make a revolution against Saddam Hussein. Others were, and usually they had fairly recent connections with the Baath party or with some organ of the Iraqi state. Often, these latter expatriate Iraqis were not the nicest people. But they were the ones that looked to me like they had a little more credibility. We encouraged the various opposition groups to unify themselves for political action. This was not easy, as they had little in common other than opposition to the leadership of Iraq by Saddam Hussein. Eventually they had a conference in 1991, as I recall in Vienna, where they established the Iraqi National Congress. The INC was a loose umbrella organization for these disparate groups. We had encouraged very strongly the two main Kurdish parties to attend that congress and participate. Somewhat to our surprise they not only showed up, they also were among the founding members of the Iraqi National Congress. The INC established a Leadership Council of representatives named from six of the opposition parties, which were the leading constituent groups of the INC at the beginning. The Leadership Council chose a Secretary General, who was responsible for helping organize the efforts of the INC and coordinate their collective activities. They named Ahmed Chalabi to the position, but the constituent groups jealously guarded their independence of action and did not view him as the leader of the Iraqi opposition. Chalabi deserves a few words of his own. When I first heard that Ahmed Chalabi wanted to come to see me, I was not terribly happy, knowing that he was a fugitive from Jordanian justice. Chalabi had been the head of a private bank headquartered in Jordan called the Petra Bank. He was from one of the leading old families of Iraq, a well known Iraqi Shiite family. His family had been in exile since the 1958 revolution against the Iraqi monarchy. 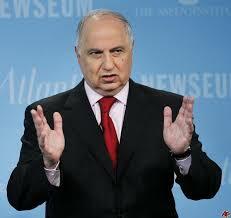 Chalabi had received an excellent education in Beirut and the United States. He eventually fled Jordan at a time when the Petra Bank was going through difficulties with all kinds of allegations that he had embezzled substantial amounts of the bank’s funds. There was a warrant for his arrest by the Jordanians, Interpol had a warrant for his arrest, and he was on our visa lookout list. Another agency of the U.S. government had been in contact with Chalabi and approached me about his case. After interagency consultations, I decided that I would see him, and I helped him gain entry to the United States. Over time, I got to know Chalabi rather well. He is a bit of a rogue, but quite charming, capable, well educated and articulate in English. Although he was from a Shiite Muslim family, he did not seem particularly religious. Most important for the limited purposes we had in mind, Ahmed was a good organizer, a trait which was not common among the Iraqi opposition groups. With his role as coordinator, the Iraqi National Congress began to shape up into something of substance. Supporters of the Iraqi opposition in the United States had a public conference in August 1991, at which I agreed to appear as the U.S. government spokesman. At that event, I made a public statement which indicated that the U.S. government was not seeking a normal relationship with the Saddam Hussein government in Baghdad, but that we would be prepared to deal with a new Iraqi leadership. At the same time, I tried to make it clear to the conferees that our support for their general aspirations didn’t mean that we had chosen them or any of the opposition groups to be the next government in Baghdad. However, we hoped that they could be a catalyst for political changes that would enable the Iraqis to freely choose a successor regime to Saddam Hussein.